This is the final post in the series on Learning Design. The sixth part to the Learning Design process is Design the teaching and learning plan. • What planning is needed? • What is the sequence of experience/tasks/opportunities? • What resources need organising? 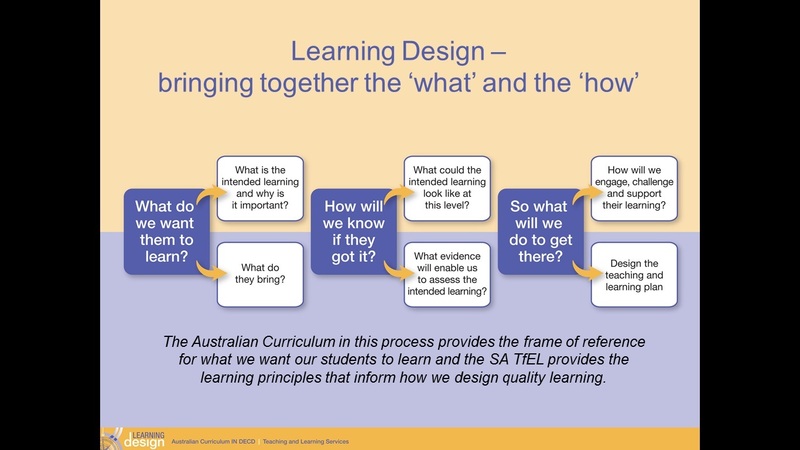 This entry was posted in Learning Design, Tfel and tagged Australian Curriculum, learning design, pedagogy, professional learning.